A few days back Oneplus team released the 4.1.5 update for the Oneplus 3 and Oneplus 3t and now today they released the new OxygenOS 4.1.6 update for the Oneplus 3 / 3T users. As per the Oneplus team, the new update comes with many bug fixes and system optimizations. 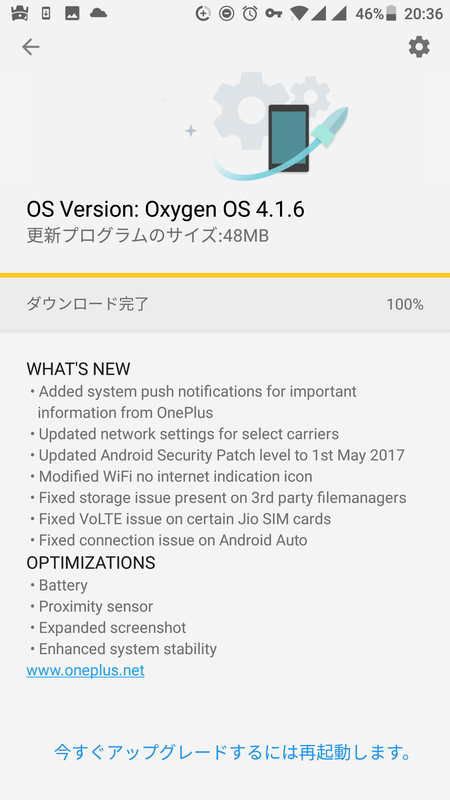 (Which you can find below) The official OTA update is already rolled out and mow the Oneplus 3 and Oneplus 3T users already updated their phone with this new OxygenOS 4.1.6 update. You can install the same manually on your phone. Download OxygenOS 4.1.6 for OnePlus 3 and OnePlus 3T from below. To flash the update on your phone all you have to download one zip file and install the same with ADB commands or with Recovery. Rooted users can use the TWRP recovery and have to flash the Full ROM zip file of the OxygenOS 4.1.6 update. Below are the download links and full instructions to install the OxygenOS 4.1.6 update on Oneplus3 and Oneplus 3T phone. 1. First Enable ‘USB debugging’ on your Oneplus 3 / 3T phone. THis will help you to connect you phone with the PC. 2. Install ADB and Fastboot files on your Windows PC. 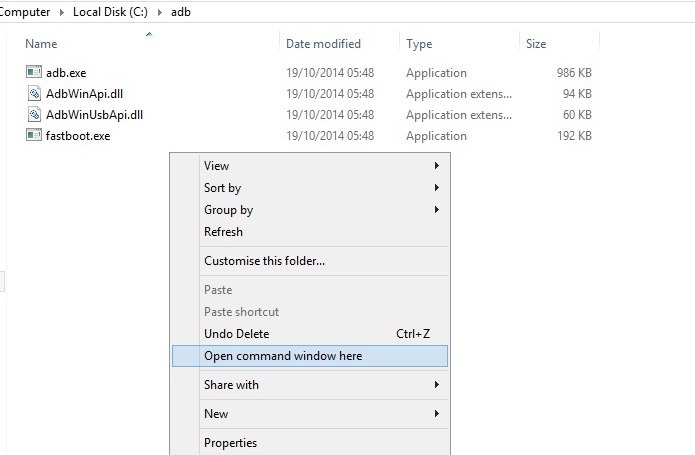 This will create an ADB folder on your Windows C Drive (C:/ADB). 3. Download the Full ROM zip file for your phone and save that zip file in the ADB folder that you created in step 2. 4. Boot your Oneplus 3 phone in recovery mode. 5. Once you are in recovery mode. Choose Install from ADB Sideload. 1. 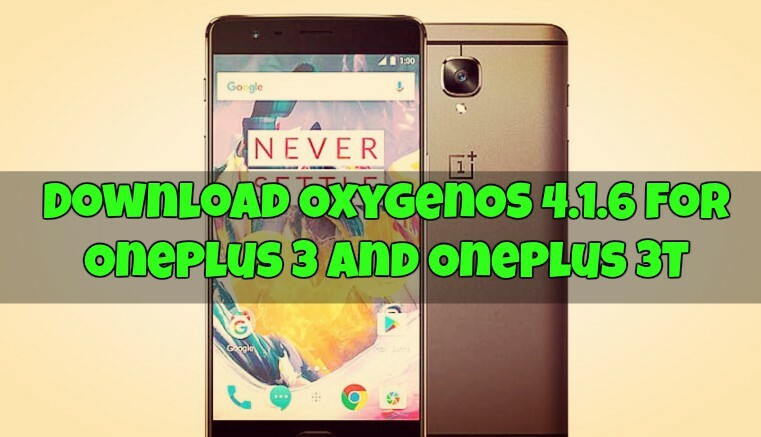 Download OxygenOS 4.1.6 OTA zip file from above and save it on your internal phone memory. 2. Boot your phone in stock recovery mode. 3. Select ‘Apply Update’ and select ‘Choose from Internal Storage‘. 4. Browse the zip file that you saved on your phone and choose the zip file, and it will Install OxygenOS 4.1.6 OTA update file on your OnePlus 3/3T. 5. Once the updated process is finished. Reboot your phone. So this is the complete instruction to update your Oneplus 3 and Oneplus 3T with the latest Oxygen OS 4.1.6 Update. Have any questions? Do let us know that in the comments below.